*Cavemen looked to the skies, saw Haley's Comet and were awed by the beauty, never to be seen again in their lifetime. I now know how they feel. I saw Derek Boogaard score a goal. The big goon is a horrible hockey player who has shown a whole lotta nothing in the preseason before tonight but he scored a stunner of a goal to tie the game at three. Seeing as he scored his last regular season goal on January 7th of 2007, it was quite the shocker. But it must be said, he now has one more goal than he has fights so far. *Fellow fourth liner Brian Boyle pretty much cemented his position on the team with a goal and a great performance. Sure his ugly shot should have been stopped by Brian Elliott but you have to give him credit for getting the puck on net. And Boyle showed some good skill in the Ranger end on the penalty kills. *At least Boyle played well there, because the blueliners were a whole lotta horrible. Steve Eminger saw a fair amount of ice time and didn't come close to playing at the level of Pavel Valentenko or Mike Sauer. If Sather/Torts stand up and make their moves based on merit, Eminger will do as I yelled in the third period - "go to Hartford, go directly to Hartford, do not pass go, do not collect any of my season ticket money." I know, no chance of that last one happening but we can hope that the bus league is in his future. *Matt Gilroy and Michael Del Zotto were also both atrocious in the Ranger end but at least they bring something else. They move the puck, they can work the power play ... Ryan McDonagh certainly showed his abilities but he doesn't seem to have the strength yet to be the big tough defender we are hoping for. 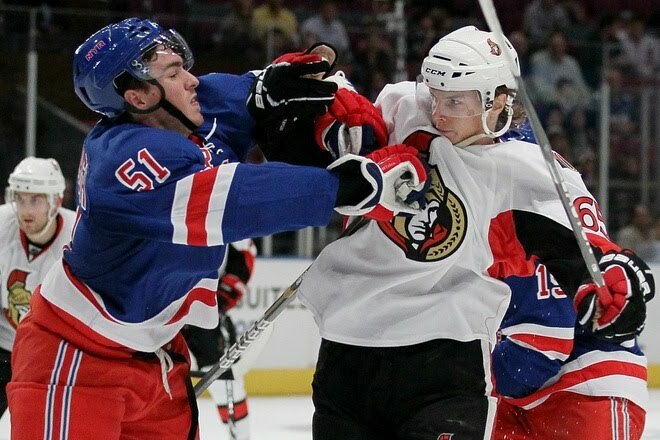 He can't play alongside Hobey or MDZ but perhaps could be a fit with Marc Staal - he of the gorgeous goal on this night. I was sure it was Avery but damned if it wasn't Staalsie. What a goal. 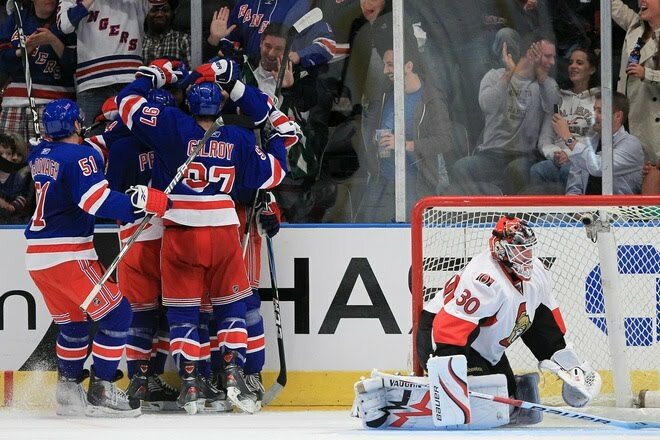 *Derek Stepan scored a shorty during regulation as well as a shootout tally while Erik Christensen simply scored in the shootout. So who do you go with? Stepan saw 22 minutes of ice time, Christy 13, so which do you think the Ranger brass want to go with? Frankly I take both over Arty Anisimov but that's me.